Friends of Kishinev Jewry (FOKJ) is a multi-faceted charity that nurtures the centuries-old Jewish community of Kishinev and Jewish communities throughout the Republic of Moldova. Friends of Kishinev Jewry was founded in 1995, by Zushe Abelsky. In those days, during Moldava’s newly-found independence from the Soviet Union, inflation was rampant, the economy was in tatters, crime was rampant, and those who could fled to other lands. There was a critical necessity to protect, revitalize and invigorate the remnants of the once-great Jewish community of Moldava and Kishinev. 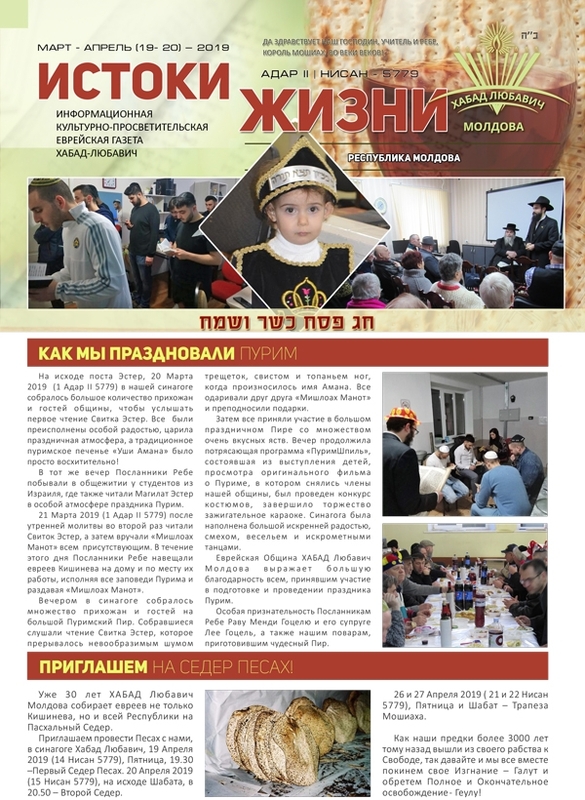 Friends of Kishinev Jewry spearheaded a monumental effort to bring humanitarian aid—tons of food, clothing, medical supplies and stipends for living expenses were distributed to some of the poorest of world Jewry. Today, the organization has built a decades-old history of providing a range of humanitarian services, famous for providing quick and discreet aid to those in need. With this famous and once-vibrant community severely depleted through the scourge of the Holocaust, decades of Communist repression and youth emigration, Friends of Kishinev Jewry today plays the lead role in rekindling the warmth and vitality of this amazing people and their heritage.